Estadio Alberto J. Armando is the iconic home of famous Buenos, Aires football team, Club Atlético Boca Juniors. 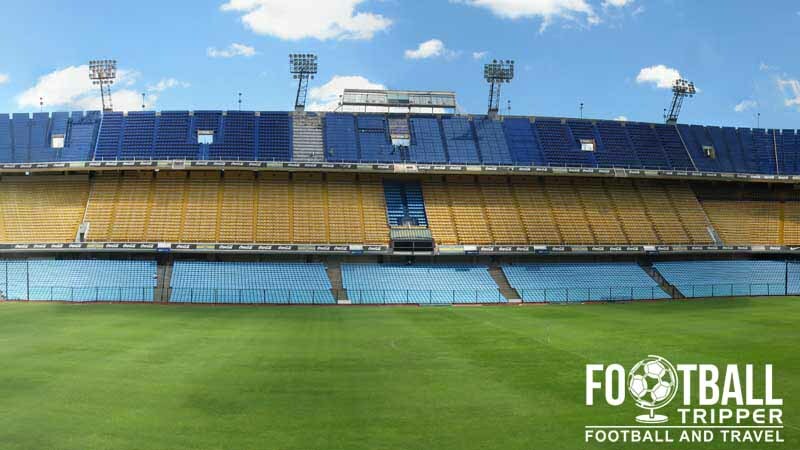 More widely known as La Bombonera (The chocolate box) after its exterior shape, and yellow steel construction, Boca’s home ground has a 49,000 capacity and first opened in May 1940. 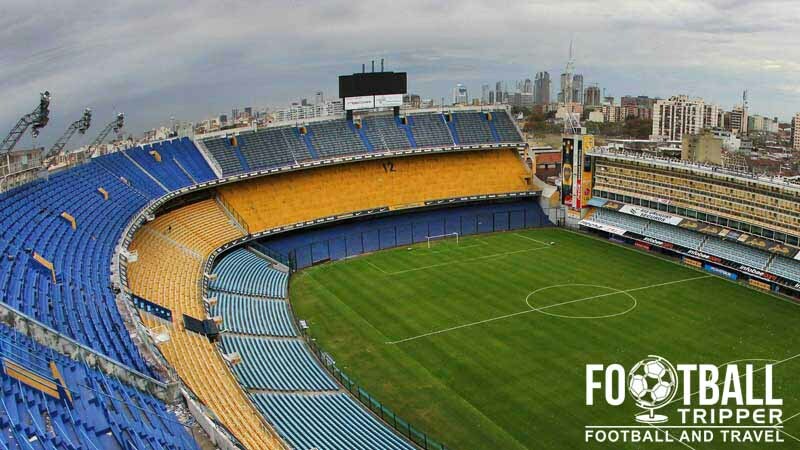 Boca Juniors’ iconic stadium first opened on May 25th 1940 after a construction period of two years with a friendly match held against Buenos Aires based rivals San Lorenzo. 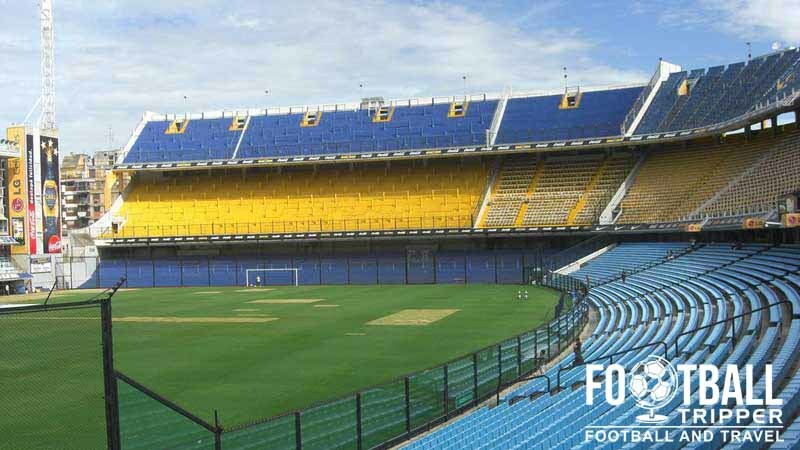 Originally known as Estadio Boca Juniors, the ground initially consisted of just two tiers with the club deciding to expand the stadium less than a decade later in 1949 after the popularity of football began to spread throughout Argentina. The expansion involved the addition of a third tier of seating within the main stand and it was upon completion of this new seating area in 1953 that led to the stadium’s famous nickname – La Bombonera. Literally meaning “Chocolate Box”, the exterior of the ground is said to resemble a confectionery tin with a large “flat” main stand and then a uniform bowl consisting of steep sections of seating. Officially the stadium’s name was changed in 1986 to “Estadio Camilo Cichero” in honour of the president who reigned over La Bombonera’s construction, although since the millennium it is known as “Estadio Alberto Armando”. Famous for leading the club to one of its most successful periods, Alberto Armando presided over Boca Juniors across two spells: 1954 – 1955 and 1960 – 1980. The last major renovation occurred in 1996 when a fourth tier was added to the main stand as well as the stadium’s exterior receiving an iconic coat of yellow and blue paint. 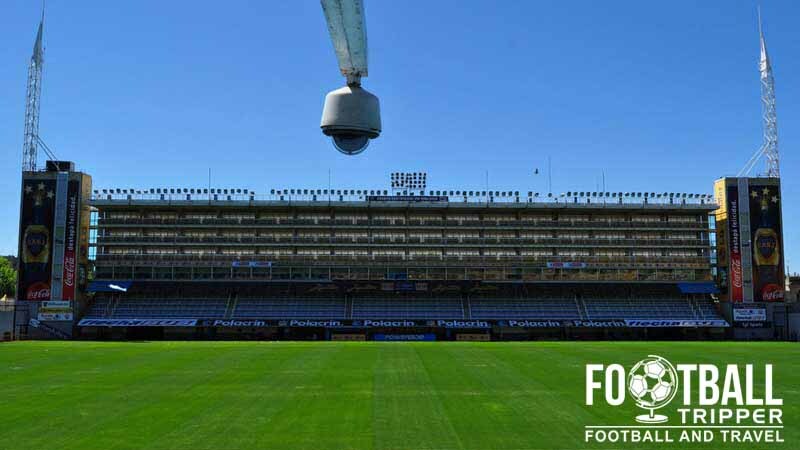 For the annual Superclásico derby against River Plate, La Bombonera is almost always guaranteed to sell out its 49,000 capacity, with Boca Juniors flirting with the idea of expansion for at least a decade now. 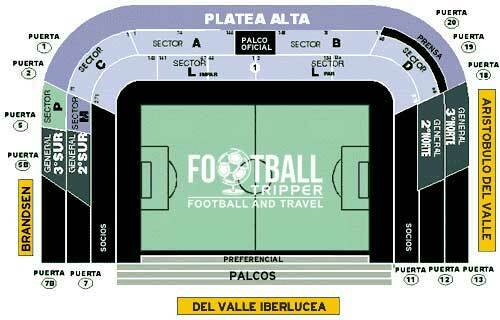 La Bombonera is comprised of four stands: North, East, South and West. It appears as if Boca Juniors stopped directly selling tickets to the general public a few years ago, and tickets sales are now handed through third party agencies for non-members. La Bombonera is located approximately 4.5km from downtown Buenos Aires in La Boca District which makes it one of the most accessible football stadiums from the city centre. It’s not recommended that you drive as there is lots of congestion and a real lack of on-site parking. Although there are many train stations throughout the greater metropolitan area, the main one is often considered to be Retiro Station. It is the main terminus for three of Argentina’s busiest railway lines: Mitre, Belgrano and San Martin. The city of Buenos Aires is served by an Underground Metro system similar to that of London known as Subte. Consisting of 6 lines of various colours it is currently the only of such system in Argentina and is the most convenient way to traverse the wider metropolitan area of the city. Like Estadio El Monumental there isn’t a purpose built station for La Bombonerna which means depending on your stating location you might as well walk or get a taxi. The main Airport of Buenos Aires is Ezeiza International Airport which is located 35km south of the city centre, however there is also Aeroparque Jorge Newbery. Located on the coast, it is 12.km north of from Estadio Alberto J. Armando and specialises in both domestic flights and routes to neighbouring countries.